Born to a noble British family, Diana Spencer became the Princess of Wales upon her marriage in 1981 to Prince Charles, the heir apparent to the British monarchy. Her deep commitment to charity work and social causes earned her the moniker ‘the People’s Princess’. She tragically passed away in a car accident in 1997, at the young age of 36. Diana Spencer was born on July 1st, 1961 in Sandringham. Her father was Viscount Althorp, and later became Earl Spencer. The Spencer family has had close ties to the British royal family, with both her grandmothers serving as ladies in waiting to Queen Elizabeth The Queen Mother. As a child, Diana grew up in Park House which was located within the Sandringham estate owned by Queen Elizabeth II. Consequently, Diana played with Princes Andrew and Edward when the royal family were in residence in Sandringham House. 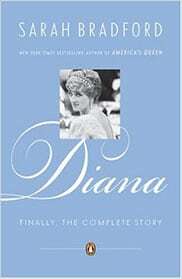 Diana was educated in private schools and attended a finishing school in Switzerland. She only stayed at the finishing school for one term, and returned to London where she took on odd jobs ranging from dance instructor to nanny to nursery teacher’s assistant. During the summer of 1980, Prince Charles developed an interest in Diana when they were both guests at a country weekend retreat. After a short courtship, he proposed on February 6th,1981. Their wedding took place on July 29th, 1981 in St Paul’s Cathedral. The lavish ceremony attracted 600,000 to the streets of London and 750 million television viewers worldwide. Within 3 years, the royal couple had two sons, Princes William and Harry, and Diana showed herself to be a loving mother who was involved in her children’s lives. For instance, she ensured that her schedule of public duties worked around the children’s schedule, and she insisted on taking them to school herself whenever possible. As Princess of Wales, Diana was highly involved in charitable work and took an interest in health-related matters, most notably HIV/AIDS and leprosy. She was also involved in campaigning against the use of landlines and for animal protection. She extended her royal patronage to numerous organizations such as the British Lung Foundation, the National AIDS trust and the British Red Cross Youth. Within 5 years, Charles and Diana had marital problems, with rumors of infidelity on both sides. They separated in December 1992, and Diana withdrew from public life the following year. Upon advice from the Queen, the couple formally divorced in August 1996. Even after her separation from Charles, she remained involved in humanitarian work, although in a private capacity. Diana was tragically killed in a car crash in Paris on August 31st, 1997. Her unexpected death caused an outpouring of grief from members of the public, who left offerings for her outside Kensington Palace for months. She is remembered for her grace, style and her deep commitment to charity and humanitarian work. In 1999, TIME Magazine named her one of the 100 Most Important People of the 20th Century. Diana had the difficult task of transitioning into royal life after her marriage. As wife to the heir of the throne, she lived under a massive spotlight and was initially uncomfortable with her royal title. Once she grew accustomed to the glare of her now-public life, Diana began to assert more of herself. This is particularly evident in her approach to raising her children. When it came to the well-being and lives of her sons, Diana often defied royal customs and routines. She was determined to provide as normal an upbringing as possible for her children; she took them to theme parks, ferried them to school herself and had a personal hand in choosing their schools and nannies. In selecting charities and causes to support, Diana remained true to herself and championed those that she was personally drawn to. Whether it was the plight of children in Africa, homelessness or people suffering from mental illness, Diana used her status to raise awareness for these issues. Her resolve to make a difference can be seen in how she continued to support work related to HIV/AIDS patients, even though the Queen was against her doing that type of charity work. A leader with strong beliefs and the ability to stand by them can inspire change. Take the time to evaluate your core beliefs and what role they play in your work and leadership. How can you incorporate your beliefs in order to be more effective as a leader? As a member of the royal family, charity and humanitarian work was part of her royal duties. However, Diana did more than just attend benefits or extend formal royal patronage to charities; she became deeply devoted to helping those in need, those who were forgotten or shunned by society, and she championed causes that were atypical for royals. She brought attention to social causes and challenged public perceptions through her humanitarian work. Diana was well-known for supporting the banning of landmines in Africa, fighting the social stigma against HIV/AIDS patients, and extending time and compassion to leprosy sufferers. Her sincere empathy and kindness for the vulnerable in society earned her admiration and respect from many around the world. Compassion and kindness may not be the usual top two traits associated with leadership. However, when you lead from the heart, with caring for people at the center of your leadership style, you will attract people with the same vision and desire to change the world. What can you do in your organization or team to put people first? Diana is survived by her two sons who honor her memory by continuing her legacy. They too are involved in charity work and display some of the charisma that so drew people to their mother. Her compassionate and warm nature lives on in the way they conduct themselves in their public lives, which is a marked difference from the typically formal behavior of royalty. In 2007, on the occasion of their mother’s 46th birthday and the 10th anniversary of her death, the Princes organized Concert for Diana, which featured some of her friends in the entertainment world. The proceeds from the event were fully donated to charities that Diana supported. Similar to how Diana brought awareness to the social stigma facing those with HIV/AIDS, Prince William used his position and influence to bring attention to bullying, particularly the bullying of LGBT youth. In a similar vein, Prince Harry has continued his mother’s work on the banning land mines. A leader’s greatest gift is leaving a legacy that continues to impact the world. What can you do to inspire your team? How would you like to make a difference in the world? 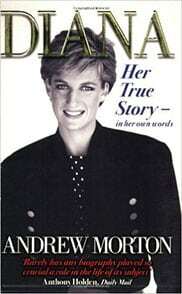 Princess Diana secretly worked together with one of the most respected biographers, Andrew Morton, to create the story of her amazing life. The final result is an astonishing and ground-breaking book that touched many readers’ hearts. With so much publicity surrounding Princess Diana, it can be difficult to discern the truth from all the lies, theories and false stories in the media. Sarah Bradford gives us a candid view of the royal family and the undying symbol of Lady Diana. All the controversy that followed Princess Diana in her life, remained as unanswered questions after her untimely death. This intimate portrait sheds some light on those lingering topics that kept Princess Diana in the center of attention. The post Diana, Princess of Wales Leadership Profile appeared first on Leadership Geeks.